Dr Paulo Pinho (Dentist) has made it his mission to limit his practice to the two most common dental affordability issues: wisdom teeth extraction and dental implants. In doing so, he’s been able to decrease surgical time and negotiate better rates with dental hospitals and day surgeries. Dr Pinho prides himself on negotiating some of the lowest-cost oral surgery in Sydney and Melbourne. ‘Low cost’ or ‘cheap’ oral surgery does not mean ‘poor quality’. In our case, it’s a reflection of Paulo’s skills and his focus on specific dental fields. Painless, efficient, safe and cheap wisdom teeth removal in Melbourne and Sydney. Dr Paulo Pinho has made it his mission to offer wisdom teeth removal at affordable prices. 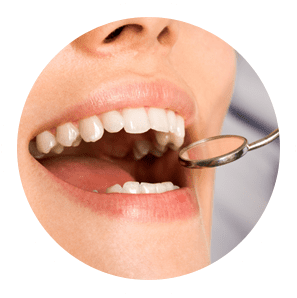 By specialising in removal of wisdom teeth, Dr Pinho can offer a quality and efficient service at unbeatable costs. More on wisdom teeth removal. View the wisdom tooth removal pricing page. Dental Implants are possibly the most exciting news in dentistry for decades. Now you can have a tooth implanted into your jawbone and not suffer the discomfort and inconvenience of a bridge. Your dental implant feels just like having a normal tooth. The whole procedure (known as one of the gentlest procedures in dentistry) is performed painlessly. We offer what we believe are the most affordable dental implants possible within Australia. More on dental implants. View the dental implants pricing page.